Consistency has been the key over Kyle Vinyard's last two seasons, but the junior appears ready to make a big jump into the top 25 this weekend. After finishing 43rd in 2017, Vinyard took to the track and turned in personal bests of 4:47.93 and 10:26.84 in the 1600 and 3200 and parlayed that into a 17:18.90 season best so far in 2018. He has consistently been in the mid-17:00 range this year and owns a 17:12.27 lifetime best. 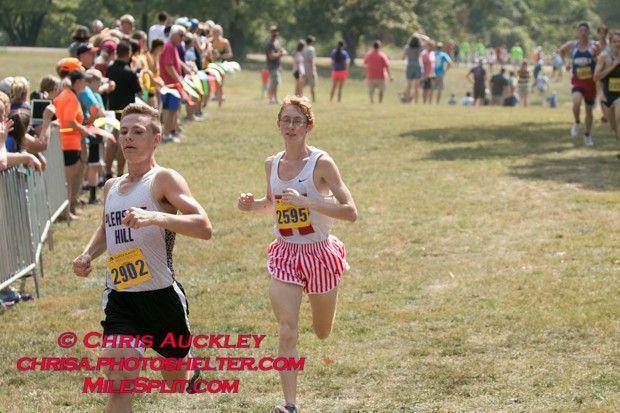 In Class 3, it typically takes a 17:05-17:10 result to sneak into the top 25. While Vinyard hasn't turned in a performance like that on a comparable course, he has the Herculaneum mojo on his side, track personal bests right in the 16:40-17:00 equivalent range, and a top 50 finish from last season. Watch for the Herky junior to make the jump and finish in the top 25 this year.